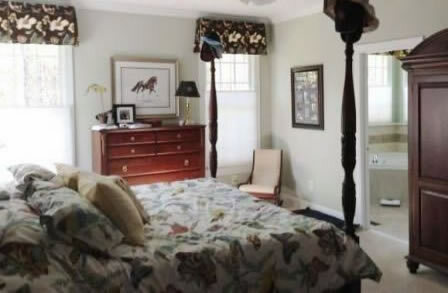 Our Greensboro, NC drapery fabrics and custom seamstress work complete a room! Often people think their bedrooms need all new furniture. Notice that was not the case! 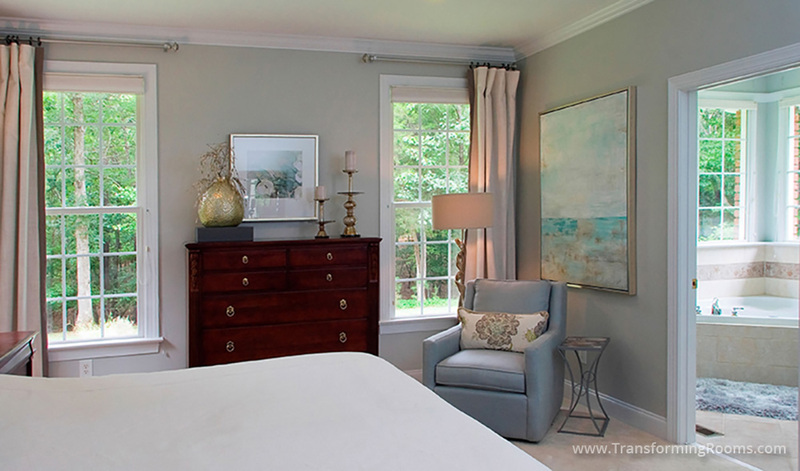 We transformed this bedroom with custom bedding, drapes, beautiful art, and a comfortable chair. The client's love how our accessories, fabrics and art complement their furniture!